Jumping back to May, I was away for a trip to Italy, where me and Derlaine travelled through Italy, starting with Rome to visit the magnificent ruins, followed by Vatican City and their countless statues. After that we relaxed at the country side of Tuscany, where we enjoyed the beautiful scenery and I proposed to Derlaine. Our next stop was Florance where we got to finally see the statue of David. The last stop was the beautiful city of Venice, where we got to experience the gondola and admire the luxorious Doge Palace. Upon returning to California we resumed focus on three main things - server migration and support for Gaia games. Currently Gaia is powered through hundreds of servers with even more virtual server instances running. The important factor here is that all these servers are getting old, and that is a big problem. Imagine if any machine have a one out of a thousand chance of going down, we would have a broken server every 3 days. On top of that, the cost of renting space to operate hundreds of servers is really expensive. The path for us to take is to migrate all of Gaia's services over to cloud based services. Yes, Gaia is moving up to the clouds. Gaia has a dazzling amount of services that support every feature on Gaia. A set of servers handle offline tasks such as achievements, some servers would handle notifications, others caches data, enable search, or store data permanently. Gaia Towns use a set of servers whiel zOMG uses another group. Everythign run on their own technologies and different ways to setup. We need to prepare and setup identical services in the cloud based servers, then come another big challange which is to migrate the terrabytes of avatar data from our proprietory storage system to the cloud based drive system. When all the side systems are migrated and complete, then we need to make sure that the actual database which store vital information such as everyone's inventory can be migrated and moved over to the new system seamlessly. This whole project is huge in scope, and we don't expect to be fully tested and ready until September. Majority of the work is for our IT engineer, with me providing engineering help. But lucky for me this doesn't require my full attention. The work on the mobile version of inventory and avatar management continues. Codemonkey is close to finishing the avatar dressup portion, then after that we will start working on Towns 3. This will be a sizable project in itself. With some resources available, we started working on a few mobile games with teams from Gaia members as well as friends who are working on games on their own. Many members in Gaia HQ had been waiting for a chance to play around with new ideas, so the intorduction to new projects were a much welcomed event. The games are in development still, but we should have something in a month or so. Congratulations on your new engagement Lanzer! I am really happy to see the site progressing forward into a more modern time. I hope one day we can lure more people back onto the site like back in the good ole days. I nostalgia hard every time I come back online. I don't know if you all advertise the site around much. It would be cool to bring people back. Thank you! Thank you! Thank you! Thank you Lanzer many times times over and over again for all that you have done with the site. You brought it back to its glory days from when I first started with my first account then left for a period of time and then came back with this account in 2009. There is one little bug that is still annoying in the marketplace. In the past, we could see the history of the items that we would put up for bid and the users with their bid amount till it ended. The same with is a item not put up for bid but a sell then it would show who bought and for how much. It would be really great if that was brought back. There is a super annoying bug with users who are still on the gold currency in the market place. When ever something is put up for bid, auction or both, the system has a habit of rounding up to the next ten of thousands place. It would be really awesome if we/those who are still on the gold currency are able to put the exact amount in that we want. Please disable the feature in the marketplace with the auto round up for the time being or completely remove it. Its caused a serious headaches and frustrations for many a user like myself. Thank you again for all you do Lanzer! You got engaged? Well congratulations to you both! As always, thank you for your hard work. Hope you are well rested after that great vacation. It sounds wonderful! By the way, your journal page is squshed. I cant see more than a sliver of your avatar. Looks like a well deserved amazing trip! Thanks for your hard work as always. Welcome back, and congratulations to you both!! Congrats Lanzer! I bet it was lovely over seas, I've never gotten to do that, maybe someday. Thank you for all your hard work to keep Gaia up a running. A side note, you think it'd be possible to add a link to HoC game back to Gaia? I have it book marked and all but a link on the games tab might encourage more players. Congrats and best of luck to you both! Thanks for the update! Please add to your list of things to check: the very very old invo doesn't display the icon for newer items. I look forward to the new games and the new phone app (the old one won't let me log in anymore). I love it when you post trip pictures, tell us the major plans you're working on, and recap what you've done recently. It makes it easy to link confused users to your journal and show both progress, as well as give hope for what's next! Thank you very much for the update. Your continued communication with us is always encouraging and helpful. 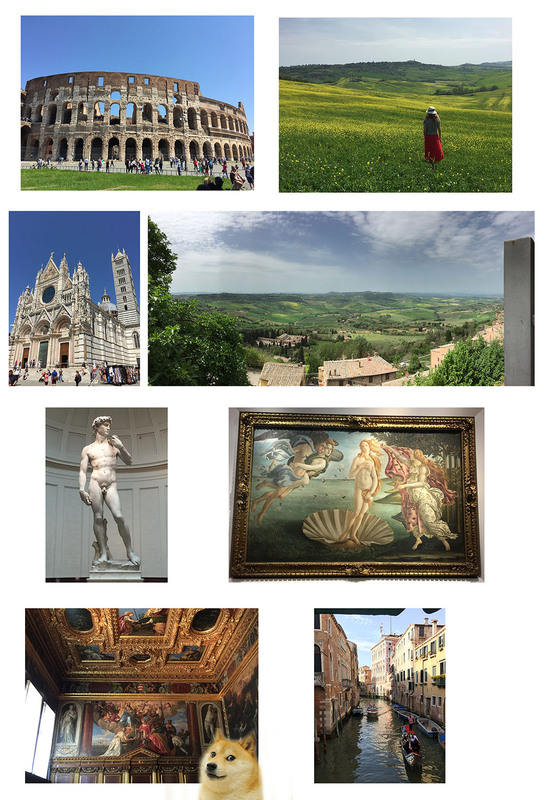 Lovely photos of Italy, and many congratulations to you and Derlaine! Thank you for giving us such a detailed report on what is happening at Gaia HQ and the servers. Also, Thank you so much for all your hard work keeping Gaia alive and working. I really love this website and I really appreciate all the work that has gone into keeping things running smoothly. Also, thank you for the updates in your journal! Also, great pictures! I look forward to seeing Gaia Online continue to improve. Once again, Thank you Lanzer! Go team go! I hope the big cloud project goes well. Congrats on your recent engagement! I am envious of your vacation in Italy. It looks amazing! Congrats on your engagement and thanks for your hard work! I'm glad to hear that Gaia is working on a Towns 3(or is planning to). In my opinion; I really fully believe the lack of interactive towns events is what effectively killed Gaia's user-base. It went from being an extremely social site to people not knowing where to talk or being unable to make friends at all. And this would be because events like Trick or treating, zurg event, ect. stopped occuring in towns and was instead moved to the fourms: which feels a lot more disconnected and less engaging then town events. After all, live avatar chatting is what sites like VRChat, TinierMe and IMVU base all their success on. It would be amazing to see the community engaged in towns/zomg events again. That used to be what gaia was all about for a lot of us. would you consider some new features for guilds once some of the server upgrades are done. changing the color of the home page or maybe allowing us to have two home pages that the captain and vice could rotate? i know there are alot of other things out there that need far more attention than guilds but im hoping that you will consider doing some upgrades to them soon. it would also be nice to see them accessible on the gaia on the go app even if all we could do is view the guild and not make posts. A bit late but, congratulations on your engagement!